One of the most interesting countries in the world is Turkey. This is due to the fact that it was once a battleground of great empires. You will see ruined castles and palaces of these empires that you have read about in history. Famous figures in history fought their battles in this country such as Alexander the Great, Achilles, and the powerful Ottoman Empire. These battles were an important part of the history because they helped shape the world as you know it today. Aside from its colorful and tumultuous history, Turkey is also a great place to unwind and experience Mediterranean comforts. But before you hop in a plane and visit Turkey, it is first important to learn more about its currency, the Turkish lira. 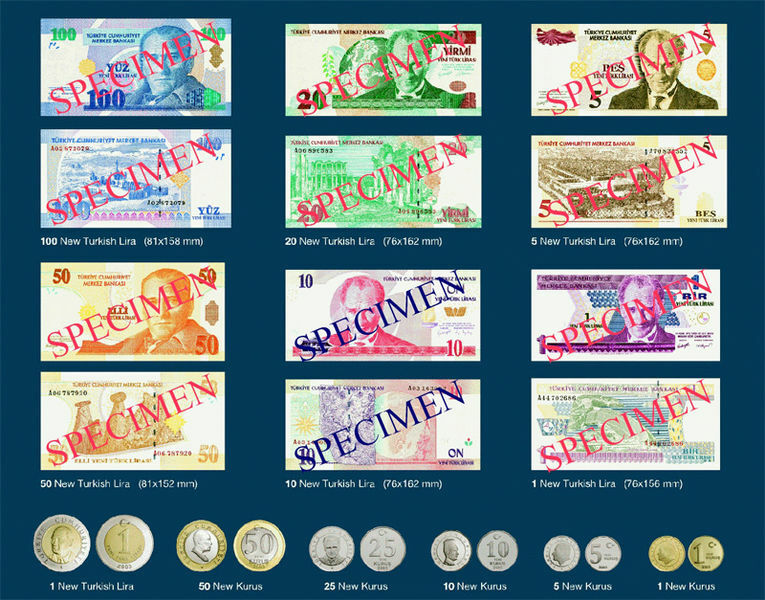 The history of the Turkish lira is just as colorful as its national history. The term ‘lira’ was first used in 1844 by the Ottoman Empire. At first, lira was used to refer to a gold coin. Other monetary units used by the Ottoman Empire were akce (currently known as kurus) and para. Paper money was later on introduced and kurus was used instead of lira. It was only in the mid 1870s when lira replaced kurus. The denominations of the old Ottoman lira start from 5 to 1000. In the early 1920s, the Ottoman lira was replaced by the Turkish lira, which includes silver coins and bank notes. The denominations of the Turkish lira notes are 1, 5, 10, 50, 100, 500, and 1000 lira. The figures featured in the Turkish lira include the national hero Mustafa Kemal Ataturk and President Ismet Inonu. Unfortunately for the Turkish lira, it suffered devaluation because of the chronic inflation and recession which started in the 1970s. In fact, the Turkish lira was dubbed as one of the least valuable currency in the world in the past several years. In January 2005, new Turkish lira was issued by Turkey’s national bank to address the problem of inflation. Another reformation happened in 2009. 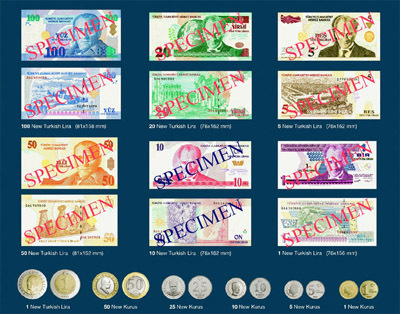 A new series was introduced, which means that the 2005 series will no longer be accepted as payment starting January 2010 but can be exchanged with the new lira until December 31, 2019. The current value of 1 Turkish lira is equal to 0.62 US dollars.